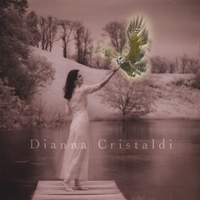 You won’t find that many modern country albums with the kind of compellingly personal songwriting and evocative, beautifully crafted music that is on Dianna Cristaldi’s self-titled latest effort. Cristaldi unites folk, roots rock, and the blues into seamless slices of life. Her voice – sometimes husky, haunting, sensitive – doesn’t stay in one gear; it shifts with the varying tones of the song, the up and down emotions of the lyrics. On “I’ve Got Nothing Left,” Cristaldi sounds as if she’s been through the most serious heartache possible and is as drained as the tune admits. “From the hollow, I look up in pain/I am not strong enough/There’s nothing left to gain,” she sings with moving passion. Many of the tracks here are slow and take repeated spins to grow on you; however, the finest LPs are the ones that reward with multiple spins. “Bye and Bye” is a heartbreaking meditation on dying and acceptance with Cristaldi trading verses with Bethany Cristaldi Wurster. Part Gospel, part country duet, it is the highlight of the whole CD, and like the rest of the record, it will stick with you long after you’ve stopped playing it.